"Harimau Muda Memalukan Negara" : This Is What Editors Let Out These Days? This should be enough to make any Malaysian football fans' blood boil, let alone mine. 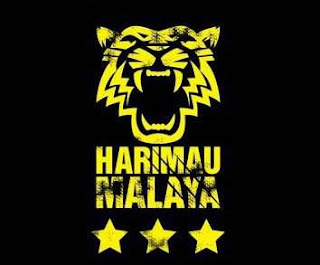 After all, we have finally reached a consensus among all Malaysian, after so many years of ridicule and torment, that today the HarimauMalaya squad have our full support of the people of Malaysia unanimously. And they have to come out with this. After what I would believe a fight against all odds to retain gold in the SEA Games, irresponsible reporting by the media was quick to call the squad "shameful" for failing to win during the Olympic Games Asian Qualifier. I don't know about you lot but as far as I am concerned that this is a shameful act ON THE SIDE OF THE NEWSPAPER to easily criticise the squad with hard words like that, which may dampen or even retract the support of many that the Malaysian National Squad desperately needs, just for the sake of having a good story to write. This is the reason I have been questioning the level of professionalism and character on several editorial screening of certain newspapers today and if this continues, it won't be long before they would be the cause of the downfall of Malaysian football once again. Note: they have since changed the title of their article online to this. Yes, the young tigers may have failed to win any of their qualifying round so far but I am sure I speak on behalf of the whole nation that they are NOWHERE NEAR OF BEING A DISAPPOINTMENT to the nation just because they lost a few games. We know where we stand and what we need to do to rebuild our reputation as a football nation and for this, we need to dominate one area to another, starting with South East Asia. We know that we are in a long long long way before we can really be established as what we are as a football nation, and we know this would not be possible without the support of our own people. As for the newspaper who wrote this, I say shame on you for trying to sell a story without regard of the implication of your words in the article. Shame on you for trying to discredit the efforts of many for the sake of selling a story and shame on you for not considering the bigger picture before coming up with this article. This is by far the best of Malaysian football since quite awhile.